Gather your ghost busting friends and watch Mysterious Midwest online, or join me and the MFPS team for the big screen presentation and hear what they experienced in person. The Munroe Falls Paranormal Society has gone viral with their investigation of the 1875 farmhouse that inspired Christine Benedict's Award Winning Mystery Thriller, Anonymous. 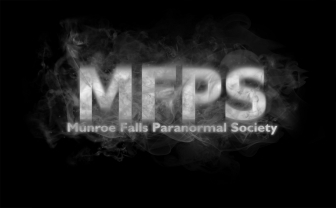 You're also welcomed to Join Christine and The Munroe Falls Paranormal Society at The Berea Branch of The Cuyahoga County Library November 14, 2016, 7:00 pm to see this facinating documentary. Sponsored by Mysterious Midwest. In the story A young couple, Debra & Greg, have just moved into an circa 1875 farmhouse. Ever fearful of inheriting her mother’s insanity, the house is not an easy place for Debra to live, what with its symphony of creaks and bangs, strange shadows, and possibly a ghost. Debra befriends her neighbor, Julie, and learns that Julie is being stalked by an unknown man who writes her letters about his sexual fantasies. I hope you get a chance to watch the documentary online. Even better join me and the MFPS team to see their findings on the big screen and hear their experience in person.